A top State Department official said on Wednesday that the United States wants to see rights granted equally to all people in Burma, including the stateless Rohingya Muslims of restive Arakan State, also known as Rakhine. Speaking to reporters via telephone from Singapore, the envoy said dire conditions for the Rohingya were something that the United States has “thought about a lot,” and that equal development would be integral to broader stability. Viewed as one of the world’s most persecuted minorities, the Rohingya are denied citizenship and basic rights. Violence between Arakan State’s Buddhist majority and minority Muslims beginning in 2012 left more than 100 people dead and some 140,000 others displaced. Most still live in squalid camps where they are denied freedom of movement and access to health and education services. “We want freedom of movement, access to education, healthcare and economic opportunity for everyone in Rakhine State and the people of Burma, which includes the Rohingya community,” Zafar said. 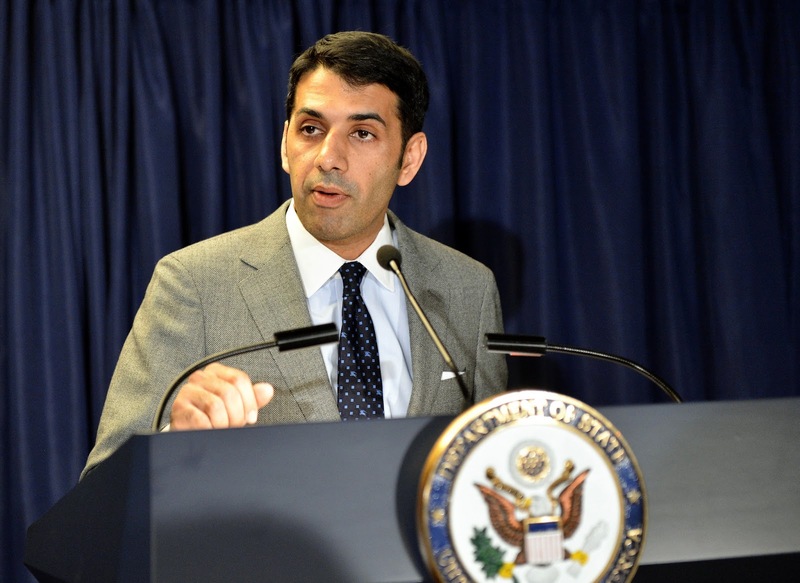 Zafar, an advisor to Secretary of State John Kerry, made the comments while touring Singapore and Malaysia to assess the engagement needs of Muslim communities in Asia. Kerry will visit Burma on Sunday, days after the United States eased some economic sanctions on the former pariah state. The United States’ re-engagement with Burma is part of the Obama administration’s broader Asia rebalance strategy, which hinges on a trade pact geared toward integrating economies and standardizing business practices. The Trans-Pacific Partnership, or TPP, was signed by 12 Pacific Rim nations earlier this year, but has yet to go into effect. Burma is not a party to the agreement, nor is neighboring giant China. “It’s incredibly important that the TPP gets finalized,” Zafar said, citing human rights, climate, security and economic concerns in the greater Asia-Pacific region, which accounts for some 40 percent of the world’s GDP. In his capacity as special envoy, Zafar stressed that “religion matters in foreign policy, in health and in development”, particularly in the multi-cultural Asia-Pacific. “Diversity leads to greater innovation, diversity leads, frankly, to a more successful country. And that’s true not just in the United States, that’s also true in Southeast Asia,” Zafar said.